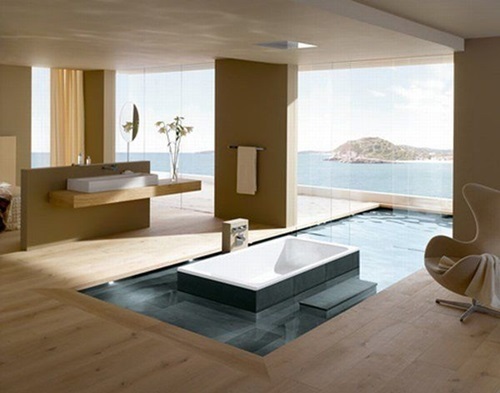 Do you want a four-star hotel’s bathroom in your house? 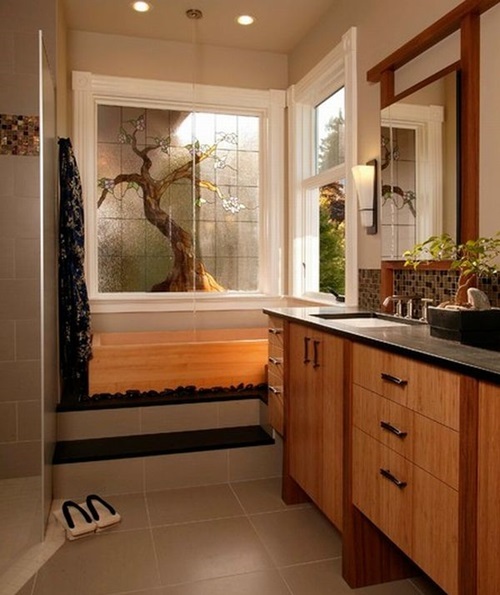 The functional and beautiful Asian bathroom will achieve this task giving you an ultimate relaxation for both of your body and mind. 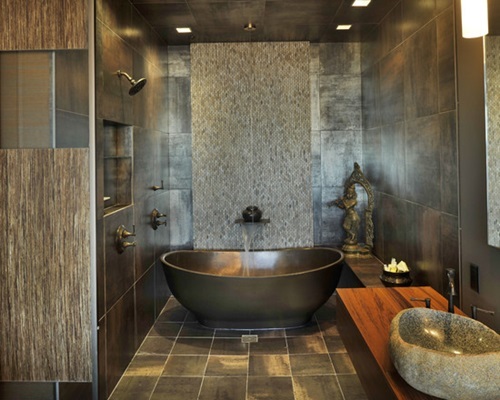 The Asian theme depends on the natural elements in a modern way to result in an aesthetic and relaxing environment into your bathroom. 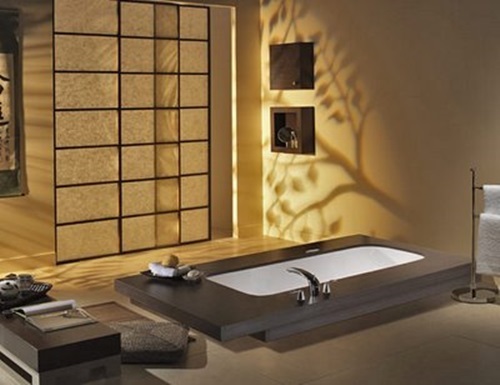 Your Asian bathroom’s units can be built-in the wall or freestanding. 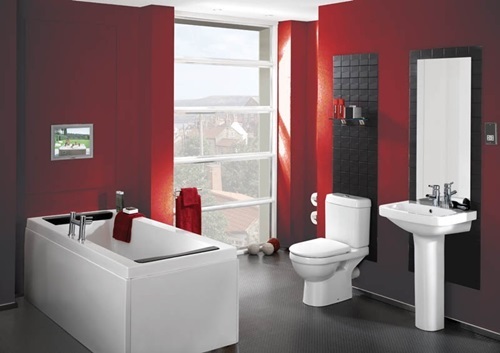 They come in different heights, widths, and numbers and types of drawers and doors. These units have holes to install your faucets. 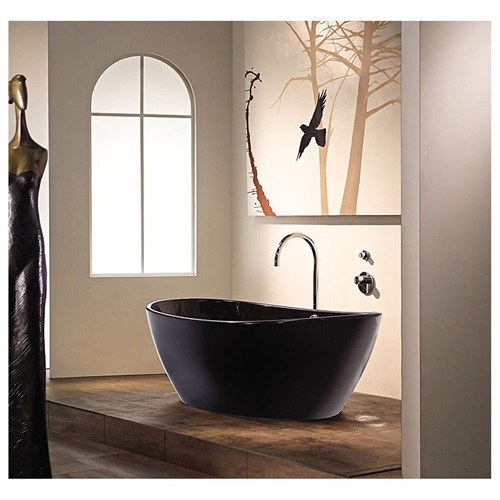 The base of these units along with your worktops can be the center of the Asian theme. 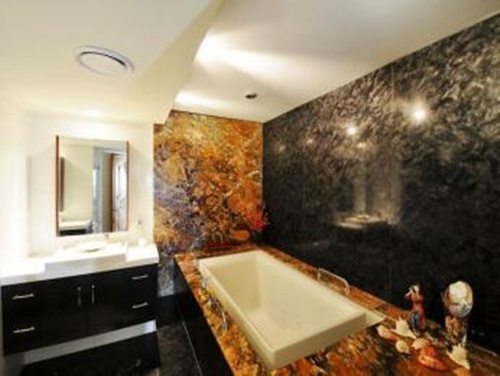 These countertops can be made of granite, marble, ceramic, or Asian mahogany with the colors that will match your bathroom. 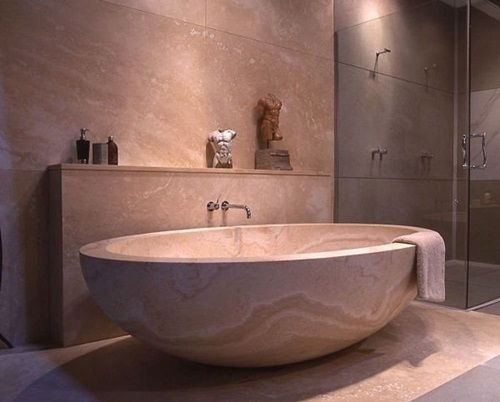 You can divide your wall into two parts to paint the upper part sand and rocks colors and install marble tiles or natural wood wainscoting to the lower part. 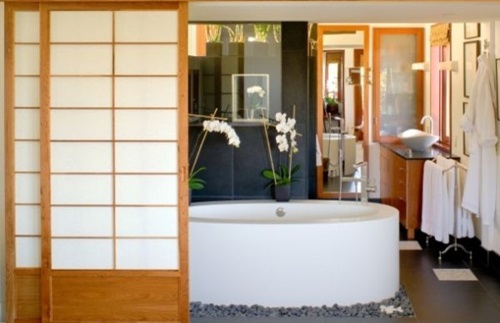 If this option will not work with your bathroom, you can use waterproof wallpaper with bamboo prints to bring the natural comfort to your bathroom. 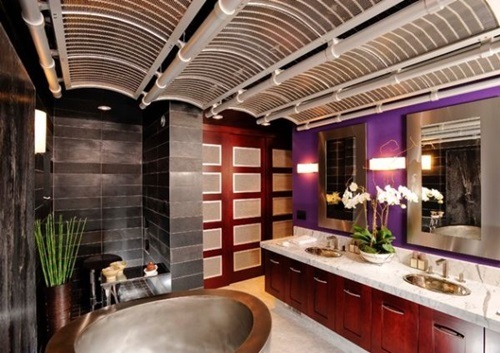 Your floor will need contrasting shades of the same color of the wall. 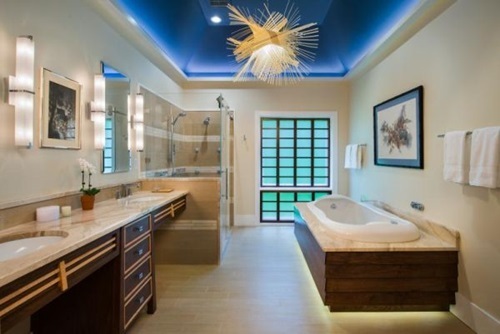 For example, you can use a light shade of the green color if your walls are painted light green, and vice versa. 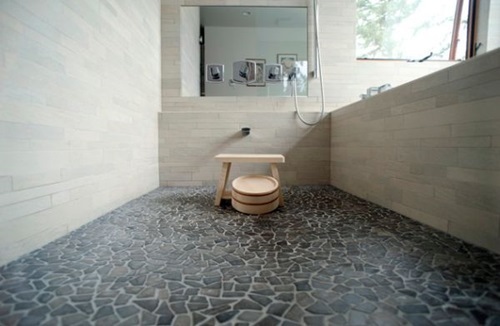 You can floor your bathroom using patterned ceramic, laminate, wood, travertine, or marble. 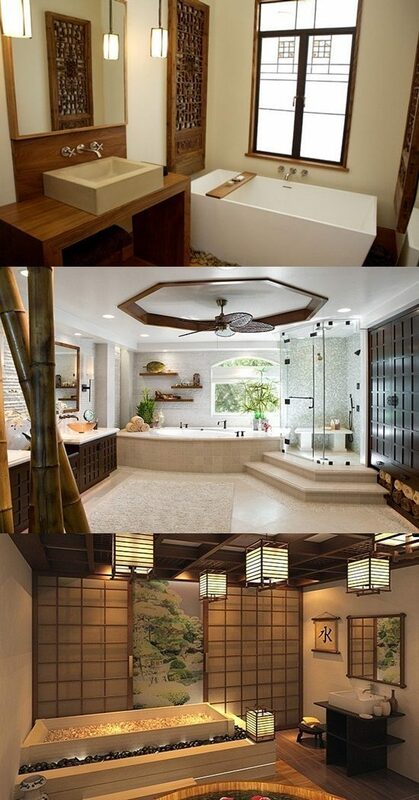 The Asian bathroom will need an adequate light. 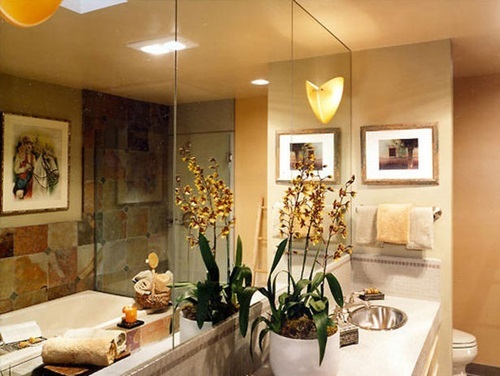 You can use an overhead lamp, wall scones, and fluorescent lamps to decorate and illuminate the space. 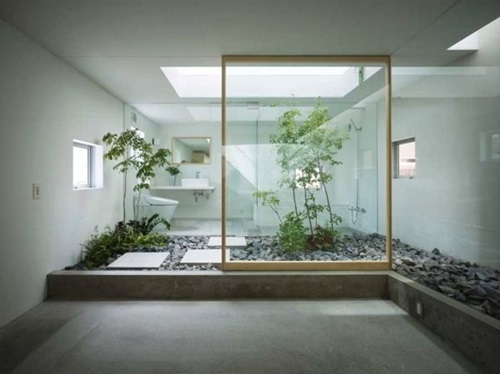 You can decorate your bathroom using natural plants or artificial plants with realistic look. 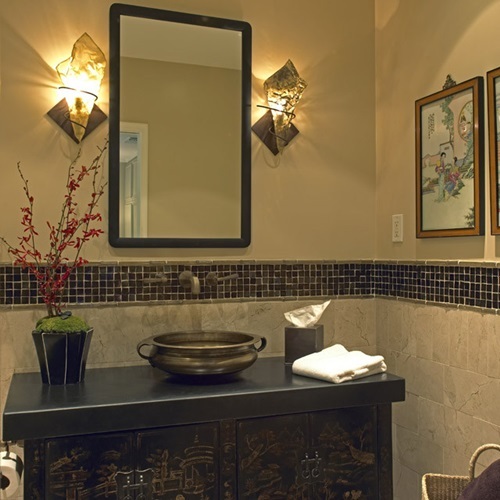 The rest of your Asian accessories, shelves, picture frames, and teeth brush holders can be made of natural wood or wicker. 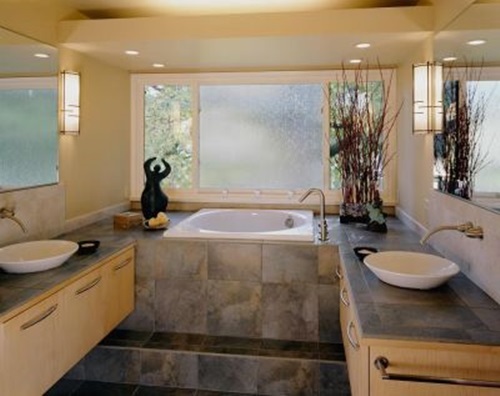 The natural look will be complete using clear glass handles and small fixtures.